Baidu chose a poetic Chinese name because it wants the world to remember its heritage. As a native speaker of the Chinese language and a talented engineer, Baidu focuses on what it knows best – Chinese language search. Applying avant-garde technology to the world’s most ancient and complex language is as challenging as it is exciting. At least people here at Baidu think so. As having diligently disclosed in the Prospectus of our recent Initial Public Offering, we believe there are at least 38 ways of saying “I” in Chinese. It is important that we master all the ways of addressing oneself in Chinese because our users depend on us to address every one of their daily queries. And trust us, pin pointing queries in the Chinese language is an art rather than a science. To improve user experience, we constantly make improvements to our products and services. For example, we introduced “phonetic” or “pin-yin” search which allows our users to type in Chinese keywords using English alphabets. This feature is designed to skip the switching from English inputting to Chinese inputting and for when the user is not sure of the written form of a keyword. Our users definitely notice the many little things that we do differently to ensure a simple and reliable search experience every time. 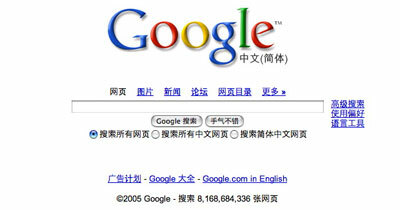 I first asked can Baidu out-Google Google? 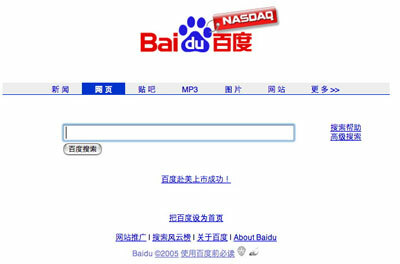 Perhaps the question really should be: Can an outsider like Google out-Baidu Baidu?